We will see you at the meeting point, 30 minutes before departure time at our meeting point. Please note that if you arrive after departure time, your place on the tour can’t be guaranteed or refunded. The meeting point is by the company’s trailer 150 meters South from Skaftafell Visitor Center. You can look up “Troll Expeditions Skaftafell” on Google Maps to find the exact location and driving directions. 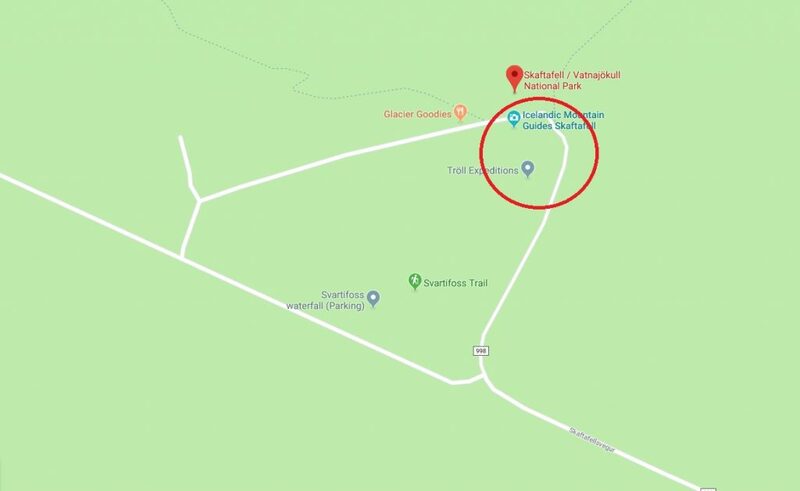 From May 1st, 2019: the meeting point will be at Skaftafell Terminal Tour Center by the main road. You can look up “Skaftafell Terminal” on Google Maps to find the exact location and driving directions. Tie your shoelaces and put your adventure hat on because you’re heading to an outlet glacier of Vatnajökull, Europe’s largest glacier! 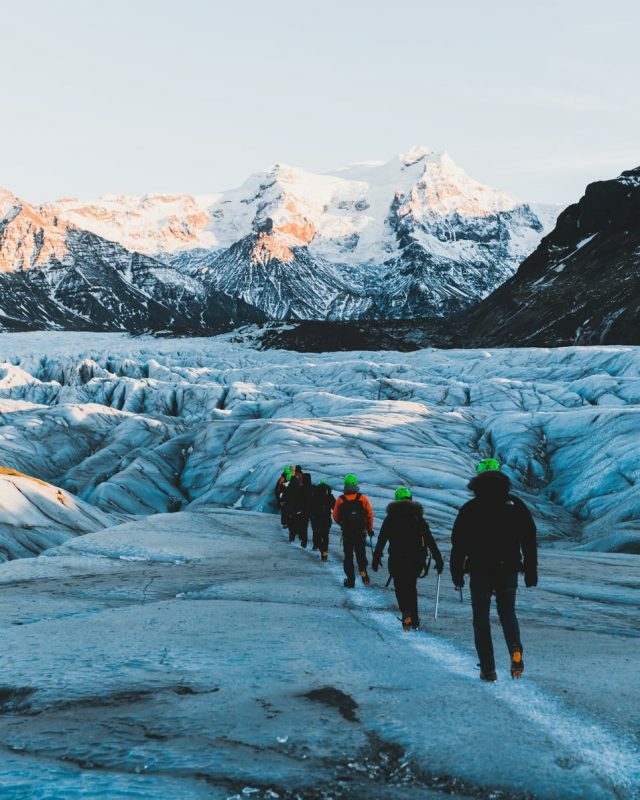 This glacier expedition takes you on top of a breathtaking glacier tongue whose other-worldly views have been the location for many movies and TV shows. Learn about Iceland unique’s contradictory and dynamic nature and come walk with us on the ice cap. 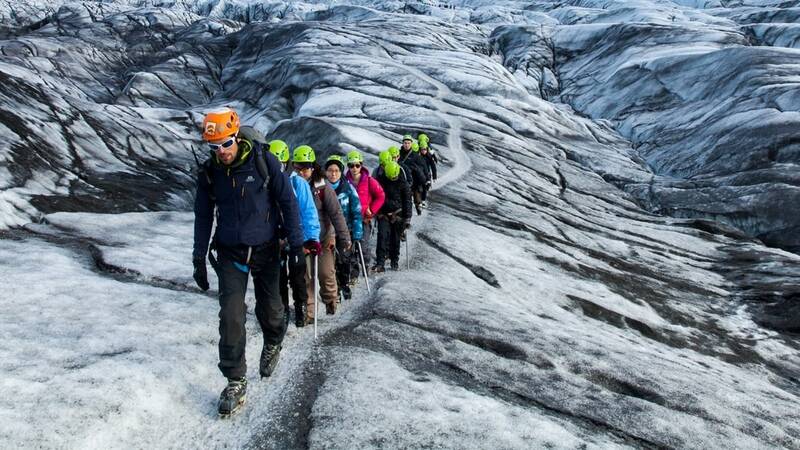 You will experience hiking on a glacier and learn the basics of rope work. 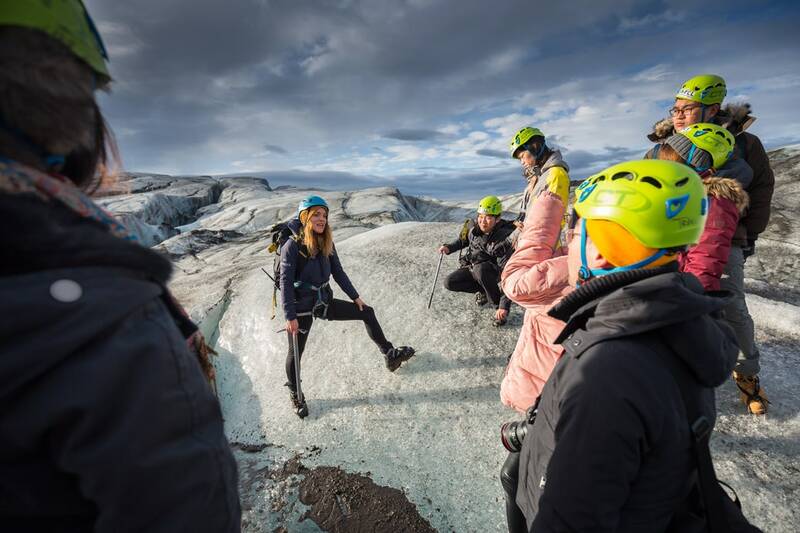 Your guide will teach you all you need to know about the natural phenomena, an outlet glacier of the Vatnajökull glacier, the largest and most voluminous ice cap in Iceland. The perfect expedition into the wonderland of ice formations and ridges. You will meet your guide at the parking lot at Skaftafell Information Centre, and after a 15-minute drive, you will be at the tip of the glacier tongue. 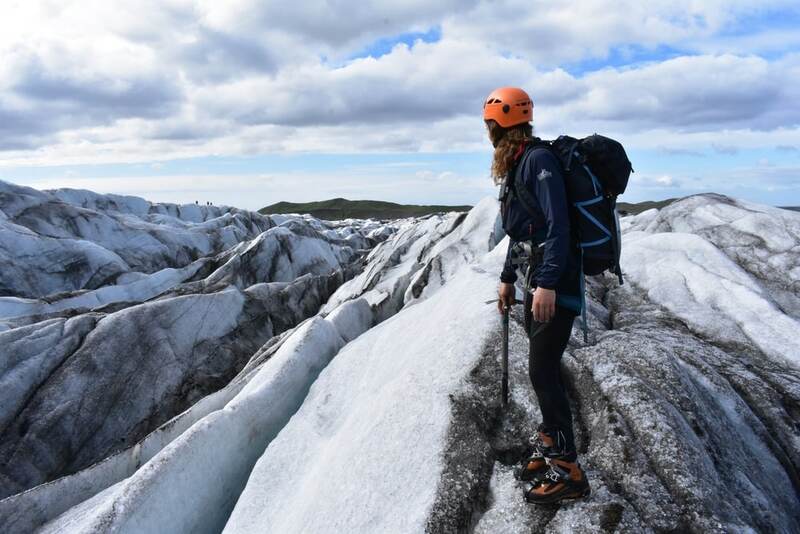 You will get all the necessary safety equipment, as we provide both crampons, ice axes and other safety gear needed to make the tour both safe and enjoyable. The glacier Falljökull is located in Skaftafell, the highest mountain range in Iceland. On a clear day, you will be able to see the highest peak in the country, Hvannadalshnjúkur. The area has been formed over thousands of years by influences of the volcanic eruptions and glaciers in the area, fire, and ice! 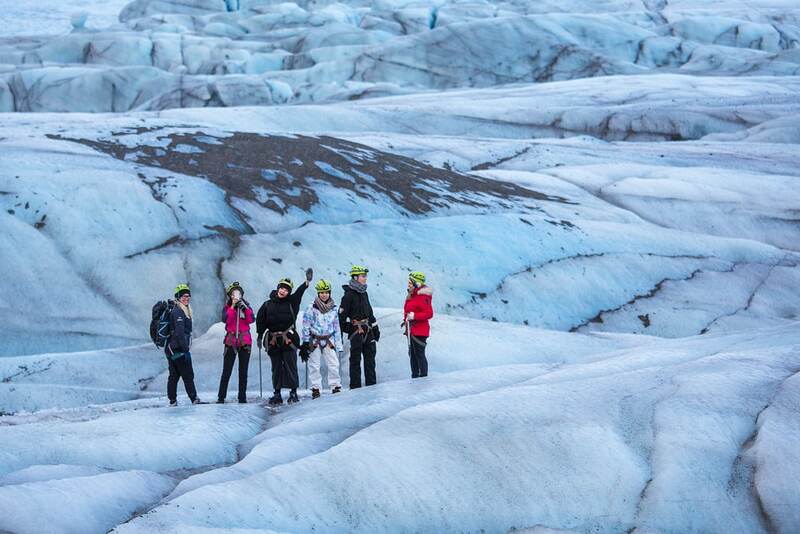 Our experienced guides will teach you all you need to know and have you walking safely on the glacier in no time. Safety equipment and briefings are provided before each tour. Nature is best experienced free of worries! 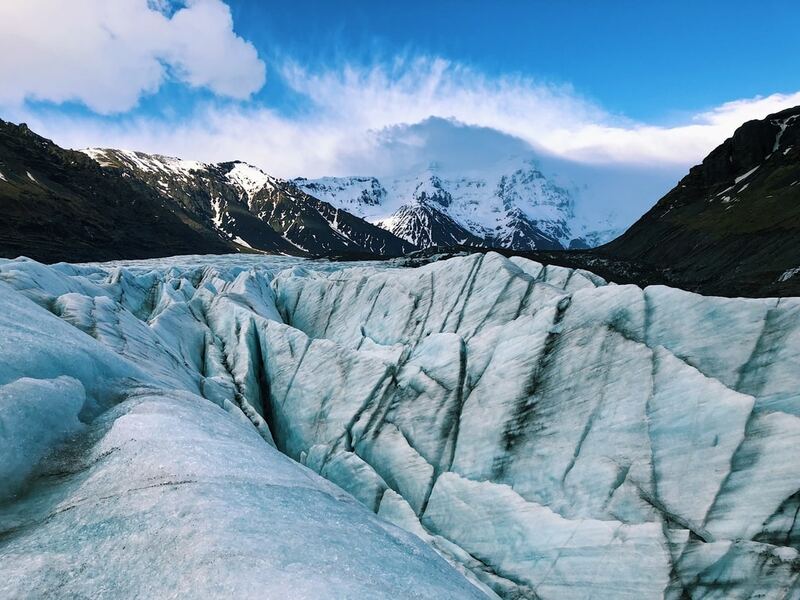 During the glacier hike, you will have plenty of time to explore the ice sculptures and gaze into deep crevasses and moulins that can reach all the way down to the bottom of the glacier. 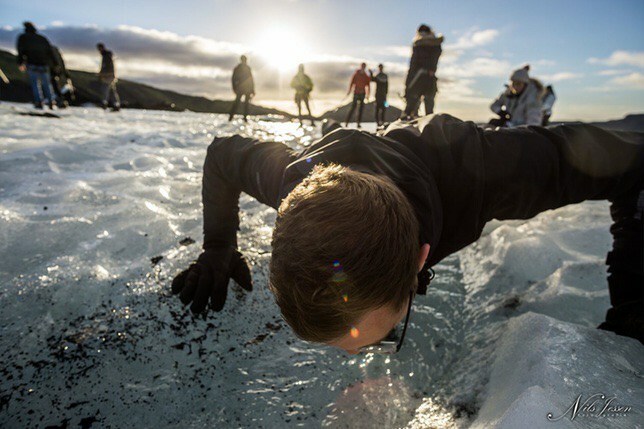 Don’t miss this chance to experience the ever changing ice formations on Falljökull Glacier. Check availability by choosing a date. This tour was my favorite part about my trip to Iceland. It was fun, educational, breathtaking, and inspirational. The guides were awesome, the price seemed fair, the tour ran exactly on time, and i highly recommend taking this tour.